If Nokia have XpressMusic, to take the music phone range. 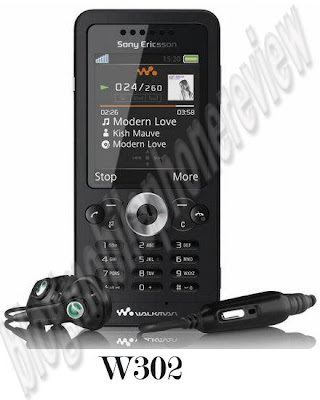 Sony Ericsson also not lose cool catalog named the phone with the trendy young generation Walkman phone call. 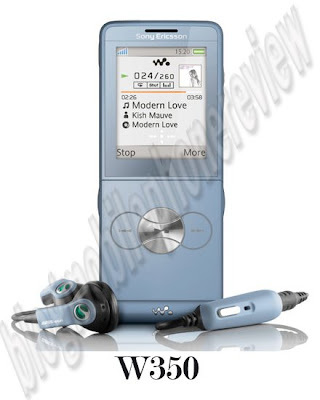 Walkman name itself is taken from one of Sony-made gadgets to music, that had so trend center player analog and digital. Here, the audio quality so superior primary. The mobile music lovers often difficult to select, which mobile phone is good and suitable for their needs. Also not uncommon to have stuck by the beauty of design, while the music is a little less. Considerations that have to scrutinize the comparison below. 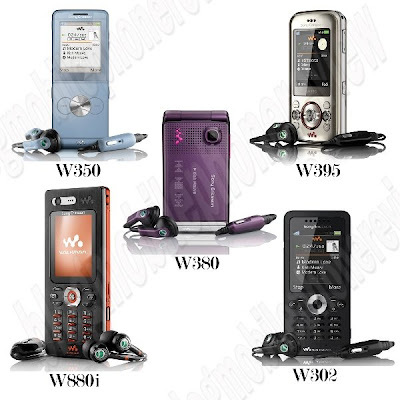 Approximately, five mobile phones from Sony Ericsson music: Lite version Walkman W350, W380, W395, W302 and W880i. Mobile phone which is suitable and okay? It does not need to discuss more extensively the design. Because, almost most of the mobile phone is a long output. Sony Ericsson W880i and W302 slightly similar to the candybar form. For lovers of fashion, can see through the W380 or W350 model clamshell Lite version with its active-fold. Meanwhile, the slider for it is the most W395 new mobile phone from the other five. For the Walkman button, W880i, W302 and W350 Lite version put on the top left of the body, while the W380 and W395 is in the range D-pad. Basically, it's easy to reach. In the interface, still the fifth mobile phone model Sony Ericsson typical classic. W880i, W302, W395 and W380 series appear as another generation in the midle to low, W350 Lite version is a little unique with a girl face. Not only that, the theme on the menu is adjusted to the color Cassing. Such as Nokia, the platform has its own character and the interface for the music business. Sony Ericsson also has the same mission. But is not based on the platform, but more to the market segment and price. To that end and high-class selling price more expensive, of course, the Walkman software is used more recent and has had many revisions. Automatic, performance is also far better than the Walkman phone for the classes. Then how about this fifth mobile phone? View from the interface, fifth there no difference between the remote. Same player models, including the settings menu. In fact, the ability to display album art, song title, artist and album name can also be styled with the good. 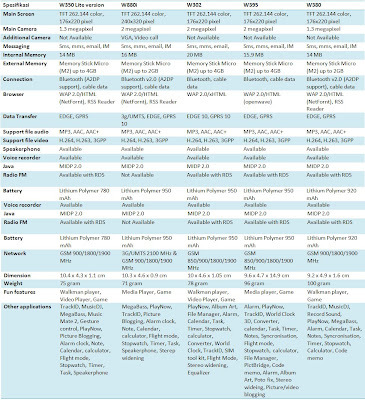 W395, W302 and the W880i is cool again. You can manage them online via a special channel that connected with a URL address on the internet. Problems setting up, the phone also provides a fifth option Equalizer, appearance and choice of visualization skin. Meanwhile, the ability to MegaBass Lite version only W350, W380 and the W880i has. Typically for performance stereo audio is good, the music should be a mobile phone equipped with stereo widening feature. Only from the five mobile phone W395, W302 and the W880i only have one. Automatic, when this feature is enabled, stereo sound that comes from the loudspeaker rather broad. From here are visible only if the quality of music in the W395, W302 and the W880i is much better than the W380 and W350 Lite Version. To be a voice output, each phone has a special speaker with a separate position earpeace. On average, it is laying on the back of the body. W380 is being put in a folder on the design of its folding. Songs that sound out of each speaker equivalent, only slightly more property W395 okay. Because the phone has two speakers that the location of holes able to bring the stereo effect is better. However, when tested using a standard headset carried the sales package. The music sounds out of the stereo headset each mobile phone is far more powerful use of the loudspeaker. Unfortunately, from the fifth W350 mobile phone is only the Lite version does not provide it. Basically, the standard stereo headset provided to each mobile phone the same type, the HPM-64. Only, the W880i using HPM-70. That also is only different in design only. But as a matter of quality. Effect Equalizer is issued depending on the options that have diponsel. But generally, the resulting effect Bass stereo headset HPM-64 is stronger than the trebel it. Basically, the standard stereo headset provided to each mobile phone the same type, the HPM-64. Only, the W880i using HPM-70. That also is only different in design only. But as a matter of quality. Effect Equalizer is issued depends on the choice of the mobile phone. But generally, the resulting effect Bass stereo headset HPM-64 is stronger than the trebel it. Interestingly, the headset that brought each phone (except W350 Lite version) is equipped with a port connector 3.5mm male jack. So, you want to be able to use the headset to exploration other brands. You want a better more powerful, can take advantage of this connector jack to Hi-Fi stereo or home teatre. Guaranteed, the sound quality will be more extra again. From here it can be drawn the conclusion, that the audio quality when using a headset or portable speaker or fixed depending on the type of material quality and the headset / speakers to be used. One point that needs to be is the ability to bring profille stereo headset. That is, the sound track that is playing can be distributed in the wireless headset to a compatible device. Here, the channel used, of course, through the A2DP profile in Bluetooth phone support. Unfortunately, for this purpose W395 and W302 can not do much. Instead, the W395 and W302 light effects give the music player while music is being in action. But, unlike the Nokia 5130 and 5220 and some XPRESSMUSIC Siemens mobile phone series, dynamic lighting effects, this is not coming from the LED in the body, but radiated from the backlight keypad. Enough as entertainment. For mobile multimedia, a reliable means of connection is a liability. How do I fill in the content / files to the phone if the media without this. If the media player only mock-fabrication, such as some Chinese mobile phone brands, so the loss of a channel connection is not a problem. What if the media connection is not owned by music phone Walkman phone classmates? Certainly not a mobile phone multimedia name again. 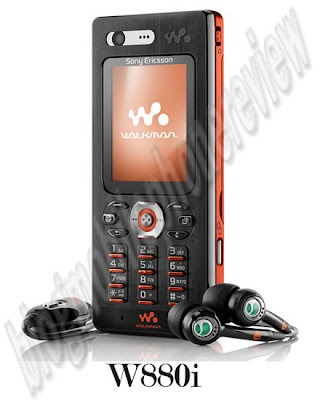 Luckily, in the five Sony Ericsson Walkman mobile phone is the device connection with good accommodation. Performance is also no need to doubt. Port connection allows the typical fifth Sony Ericsson mobile phone is connected to a PC via a data cable. In fact, the presence of a memory card expansion slot in the fifth mobile phone can be used as mass storage. Through this facility, you can transfer to any file stored on a Memory Stick Micro (M2). But unlike the mobile phone or smartphone that has the operating system that has a special file synchronization capability, for example, to songs that can be synchronized with Windows Media Player. Five music phone Sony Ericsson does not have this ability. Business internet browsing, the W880i is a respite. Because the only phone that has been supported 3G/UMTS network. Are four other mobile phone only uses EDGE and GPRS. But, just for browsing wap is just smooth. Sony Ericsson W350 and W380 Lite version only takes 1.3 megapixel camera. Meanwhile, W302, W395 and W880i have 2 megapixel strength. Points plus one for the W880i, because this is the only mobile phone equipped with a front camera (VGA) that can be used for video call. Because the Lite version, using the W350 with the battery capacity is small, namely 780 mAh. While the mobile phone of another type with 950 mAh Lithium Polymer. However, if compared to the W308 Battery Lithium Ion 920 mAh, property Lite W350 slightly more firm and durable. 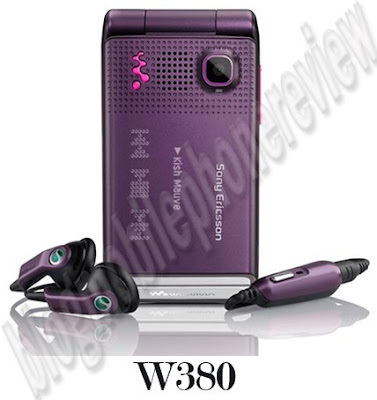 For music lovers the Sony Ericsson minded, can squint Lite version W350, W380, W880i, W395 and W302 as the options that fit snug. Moreover, for those who do not have much money. The price and the time outstanding in the market, should be able to guess where the music phone that has a character and a stronger performance. W302, for example, even though present at the end of the W380 and W350, a matter of audio quality was less than vigorous. Thus, the two relatives who are able to appear good. Moreover, design W350 Lite version to appear trendy and so the value of additional selling. However, the lack of sales in the package W350 Lite version should also be a consideration. 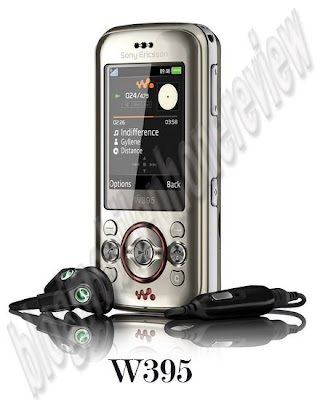 For W880i, besides music phone also provides additional channels 3G/UMTS. Effect, the selling price is a little mobile phone more expensive than the other four series. Meanwhile, you want to see that more music can try maniac W395, the view through the stereo speakers.